Whether you are looking for the newest fashion or an inexpensive pair of glasses, Crystal Clear Eye Surgeons has everything to meet your visual needs. Ask about our package pricing starting at $150 for a complete pair ofsingle vision eyeglasses, which includes anti-reflective coating and our two-year scratch warranty. We pride ourselves in offering the newest technology available in eyeglass lenses. From state-of-the- art progressive lenses to the thinnest, lightest lenses on the market, our opticians will help you make an informed decision about your next eyeglass purchase. Crystal Clear Eye Surgeons also knows how important it is to protect your eyes from the sun’s harmful UV rays. We recommend you wear sunglasses to reduce windshield glare when driving or reflections when out in the snow, water or sand. That is why we offer a variety of sunglasses with or without a prescription. 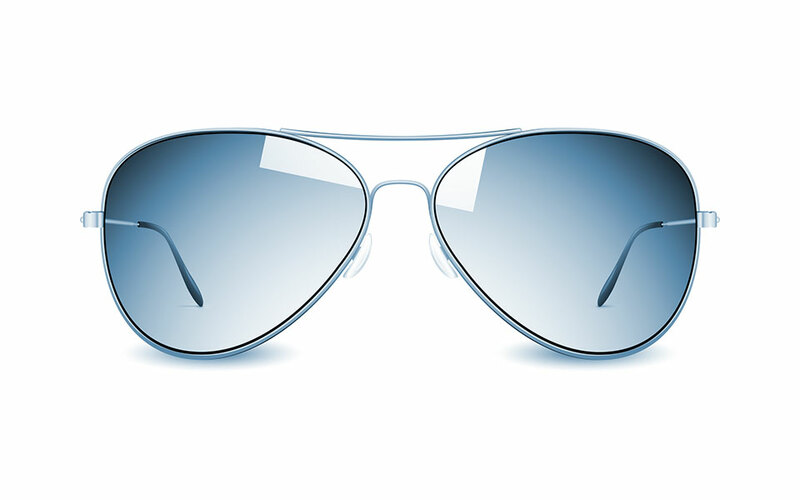 There are magnetic, clip-on shades, different sunglass tints, coatings and photochromic lenses. For more information on the myriad sunglass options available, visit www.allaboutvision.com. At Crystal Clear Eye Surgeons, we know many people prefer to wear contact lenses over or interchangeably with eyeglasses. That’s why our doctors perform a comprehensive eye exam before recommending a type of contact lens. We make sure we check the health of your eye and other issues to ensure your contact-lens-wearing success. If all goes well during the exam, it’s time for a consultation and fitting. Our contact lens fitting fees vary in price starting at $50 based on each patient’s individual needs. Your fitting fee includes: the initial contact lens fitting appointment, a pair of trial lenses and follow-up visits related to the fit of your contact lenses. In some cases, multiple visits may be required to obtain the proper contact lens fit and comfort. Instruction on insertion, removal and care of your contacts lens also is provided for all new contact lens wearers. At Crystal Clear Eye Surgeons, we carry a wide variety of daily, bi-weekly and monthly disposable lenses to meet most patients’ visual needs. Your doctor will discuss with you which lens brand is best for your ocular health.